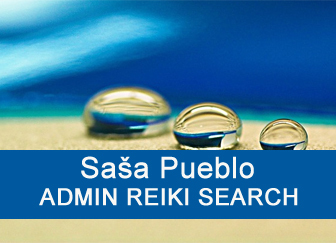 Serious research of Reiki based on testing and verification. Getting know different Reiki systems. This time we will look at Reiki signs and rather we could talk about motion formulas and vectors of certain movement. Human Reiki is about signs, symbols, fonts and intellect. Animal Reiki is about certain type of predetermined movement by hand or body. Children Reiki and also angelic Reiki has the potential to change the imagination of angel into sign of angelic character. Then here are chakras characters which are rather as small fires, small drops, small stones and then here is the sign or movement of two rotated principles as black and white. This goes directly into cells. At beginning I would like to notice to the fact that everywhere on web pages is written about Reiki signs and this has to be put in the right direction. Reiki symbols and Shambhala symbols are used in Reiki which is based on animal principle. So present man who lives in civilized world can not approach Reiki symbols. Before Reiki characters usage, he has to execute some adjustment in his brain and that is blocking upper parts of the brain full of neurons. One thing is to suggerate this or to believe that his brain contains only half of neurons. So he has to be in the state as he would have cerebral palsy and he will use only middle brain in the size of hen egg. The brain of natural people or people living without education acts as the brain of the person after cerebral palsy and many neurons are not functioning. This has to be accepted and so realized. Reiki symbol is not understand here as drawn sign but the movement realized by the body and hands and this movement is done directly from the spinal cord. The brain of Reiki person would feel like brain of natural people and the best animals. Either he has them or at distance. And then Reiki character as a certain movement record works great. Movement is a sign that is used when material objects change their location, shape, size, thermal, electrical or magnetic properties, their physical state, their chemical composition, their biological properties and so on. Movement is basic manifestation of the existence of matter. The oscillation or vibration is the movement of physical system in which the system always returns to its equilibrium position after deflection. One change in oscillation is also called oscillation cycle, the transition from one extreme position to other is sometimes called a nod. Pictogram is an ideogram that expresses its meaning through its image similarity to a physical object. Pictograms are often used in typography and graphic systems where characters are to large extent figurative. Pictogram can also be used in areas such as leisure, tourism and geography. The vector is the element of vector space, the vector space is – in a simplified sense – a set where elements (i.e., the vectors) can be combined and multiplied by real or complex numbers. Here we have classical Reiki signs. We should think how these signs originated. In our case Reiki sign is the record about the movement. This could be the movement of whole body, this could be the motion of hand or this could be micro movement directly from muscles. In our case all Reiki characters are records about the movement of the animal or human in historic time. Today´s human must withold the part of functioning brain neurons in purpose to practice these characters. 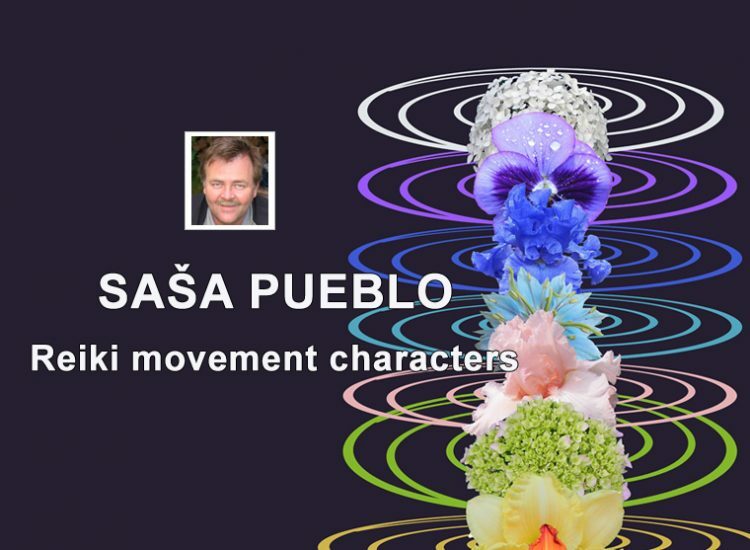 But the question is different: Which Reiki characters as movement patterns were extremly strong and effective? We do practice with meteorites as the base, whether direct contact with meteorites or indirectly at distance and the best with those who work with them. And then you need to take Reiki characters from old Japanese samurai. In this case we are talking about movement of samurai sword. Then we will write the movement of the Samurai sword tip and from it we will take the basis of Reiki characters as the motion vector. These characters are found in Reiki post-mortem discs on samurai graves. Visually and sensibly detectable and copiable. It does not make sense to use Reiki characters written by bird queues. This would be only little active and inefficient. If you understand, it’s great. Samurais were always trained from very early age. They practiced with wooden swords (bokken) against their co-workers. In the age of ten they were sent to place full of fear and young had to overcome this. Such places include, for example, cemeteries, mortuary, dense forests or abandoned building ruins. At the beginning of the samurai, they fought mainly with the bow. Unique mountain shaman and owner of Reiki disc of unique quality. He is not alive any more but despite this his bones and his Reiki disc are unique. We were searching Reiki characters for you. If you are interested, then please take a look which signs are used in Reiki area. This is basic meditation – to remember Reiki characters and know to pick them out in the brain. After a while you should be able to manage Reiki character inside the memory and from there activate this character inserting next and next character into one character. So you put together thousands similar Reiki characters and this is the way to activate the character. Even stronger could be activated from bone memory in bones. 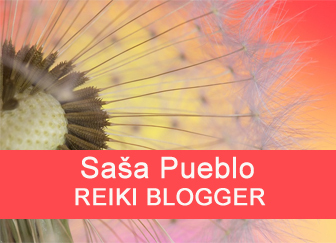 Imaginations about Reiki character can be empowerd in the head and then Reiki character could be given to aura in front of you and there you can connect it with the character of other Reikists. 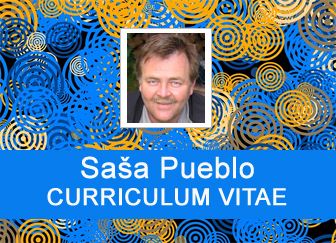 For example under special circumstances you connect to persons who have twin inside. 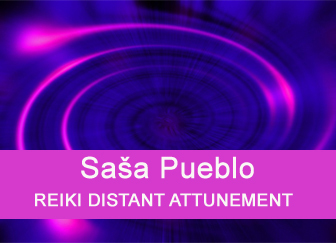 Those person well activate Reiki system in aura. I recommend not to take over completely Reiki characters from other masters. Sometimes unfortunate things may happen. In Reiki characters could be mechanism for taking your energies. Energies that are formed inside cells. And Reiki character that you have received is in reality the character which will remove your energies for purpose of Reiki master. After taking Reiki character, I recommend modifying it slightly and practicing by own way. Here we will understand meridians as acupuncture points which go nicely one by one. For example liver meridian goes from legs up and ends somewhere in the face area. Again, I point out that this is an animal Reiki or Reiki of natural and primitive people, not Reiki of today’s civilized people. If a man’s brain is in cerebral palsy so the certain part of brain is damaged, has less neurons and rather uses the lower parts of the brain. You gain decreased number of neurons by the suggestion and believe that the upper part of the brain is not working and all brain functions has been taken over by lower part and spinal cord. And then these paths will appear in your skin, fat and possibly in your muscles. And classic Reiki characters are poured into these consecutive points and restore their functioning. The aim of this therapy is to restore these body paths more typical for older people and children than adults. Please keep this in mind. Meridians are part of a complex system of traditional Chinese medicine. It’s not an isolated area on the body but closed “energy” circle that flows throughout whole human body. Acupuncture is the technique which works well with older people and children. Acupuncture is not suitable alternative treatment for people with sick lungs and a weak or sick heart. In conjunction with Reiki energies, you can also cause death to people. There are many reports of deaths due to inappropriate needle application. Reiki energies and acupuncture points will open again when the brain is blocked in the head and does not function fully and closed animal consciousness of the spinal cord will open. Acupuncture recognizes about 7,000 acupuncture points. Person who meditates is able to activate these points without physical needle by concentration of Reiki energies into needle shapes. Sometimes is enough finger pressure on sufficient place. Similar acupuncture is hot moxing. Similar also is the action of magnet, meteorite, low electric current or laser. Acupuncture is alternative healing metohod which originates from China. The oldest textbook describes 365 treatment points on the body surface, today up to 2000 acupuncture points are listed. The treatment consists of embedding very thin needles into sensitive spots in the patient’s skin. These sensitive points are called acupuncture points. Bian stones are spiky stones which historically were used in traditional Chinese medicine. They are generally considered to be the forerunner of acupuncture using heated spiked stones (instead of acupuncture needles) in the treatment of back and neck pain. This article provides whole list of acupuncture points, places on the body which are used in acupuncture, acupressure and other healing systems based on traditional chinese medicine (TCM). Acupuncture is healing method which arises from traditional chinese medicine. During this treatment acupuncture needles are sticked into so called acupuncture points of patient. According to traditional teaching, these points lie on acupuncture paths, so called energy pathways, Meridians. The chakra and its sense in Reiki will be understood as a base of concentrating and acting into unique area of mesenteric fat. It is unique fat that is stored in the body like tiny balls. Medicine talks about fat and esoterics and Reiki talk about fat neurons that specifically govern whole chemistry and human digestion. So it is different opinion. Wise throughout such structure is typical for India and Brahmans. And so the chakra with its typical features is about how to get into these areas of the human body in the animal or the prehistoric consciousness. So again is welcomed quiet brain activity as after cerebral palsy and function of control takes over spinal cord. The penetration into mesenteric neurons is the way to control the digestion. Chakras are connected points between body and astral body. According old indian and tibetian texts are recognized 72 000 to 350 000 chakras. Seven chakras are marked as main energetic centers. Chakras are according hinduism energetic places in the body described as circle, they are important places which manage the body and space outside the body. None of esotericists could explain enough what thousand sliced lotus is. We have meditated on this system for a long time and the images place it on the top of the head or above the head. Through gradual meditation, we have discovered the linking of thousand-sliced lotus to unique structures in the human body. The embryo in the mother is sealed in the placenta, but also in the skin of the embryo is something like a placenta and it remains after birth. By meditating on sings of sahasrara chakra, it is possible to activate this unique system for various purposes. Sahasrara crown chakra is generally regarded as the seventh primary chakra according to most of Tantric yoga traditions. The Sahasrara is described as lotus flower with 1,000 petals of different colors. Here you have the most used Reiki characters. They have to be practised in animal state. So it means to suppress neurons functions in the brain and we concentrate to spinal cord and neurons in down parts of the brain. This is called Reiki characters but in reality this is only some kind of movement body, hands and legs. Please do not mistake yourself. And these movements, according to a plan, most often go to the creation of energy discs for healing purposes. This is special character or rather certain prescribed movement which is used to attune into Reiki system, that is, the spinal cord with the need to block upper neurons. Most often, this motion is similar to the motion of the flash by moving strongly energetized hand. But it is possible to attune themselves at the distance and then to send more such characters at once. Here we have specific characters. But we will consider them to be some guidance for movement, either body, hand or just muscles. 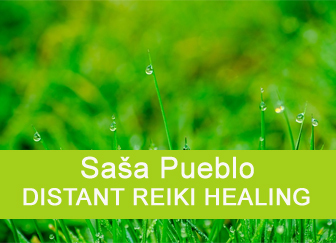 We’re dealing with Reiki that goes into children glands. We have one big mid-chest children gland – thymus in our childhood. But in adulthood, we have about 100 places in the body with children glands in the size of bean. This Reiki directs into this area as some kind of the movement. In this Reiki, the activity of the large brain and the spinal cord is again blocked and slowed and initiation goes into children’s glands. These contain what is called angelic sphere in the esotericism. Angel Reiki enables us to work closely with all spiritual beings that constantly send us an unlimited amount of healing energy. We teach Angel Reiki only to people who are already Reiki masters and most of these students have received their attunement from other teachers. Perhaps you will be surprised that we also have yin-yang character in Reiki. We are aware that this is a sign in TAO. But rather we should say that it is a motion vector. As if you would looking on tree rings and better two conjoined trees. Lovely embrace of mother and child. In order to practice this kind of Reiki, it is necessary to block neurons in the brain, as well as the animal’s consciousness and spinal cord activity. Suggestion, verifying and practicing your own cellular consciousness. Body cells as a group of millions of embryos throughout the body. And these embryos from cells of your body communicate again and are ready to communicate with trees. A bit difficult concept to implement. It is best to initiate Chinese masters and then classic Reiki. And then you can use yin and yang to dynamise energies between man and tree. And that’s also the small secret of the TAO. Tai-chi is old chinese exercise which has roots in traditional taoist philosophy. During nearly two thousand years, various Taostic schools have developed and improved health exercises as part of their spiritual improvement. Qigong means “energetic work” or “cultivation life energy”. Zhineng Qigong refers to a complete system of Qigong practices focused on health, healing and consciousness. Primordial Qigong is Qigong form allegedly developed by Taoist sage Chang San Feng. The original Qigong system reflects Taoist theory of the birth of the universe. According to Taoist, Buddhist and Confucian philosophy, Qigong allows access to higher spheres of consciousness, awakens someone’s “true essence” and helps to develop human potential.